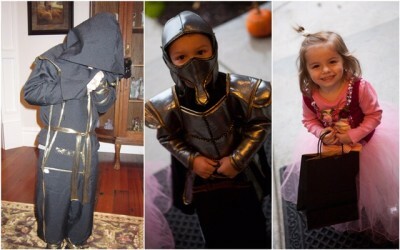 We just wrapped up a nice Halloween weekend; it’s always fun to see the grandchildren dressed up in their costumes! It was raining cats and dogs outside, which put a little damper on things. We only did a handful of houses before the kids were soaking and cold, so it was a short Halloween night for us. They spent the rest of the evening staring out the window, waiting for neighborhood kids to stop by. We turned on all the lights and made our house as warm and welcoming as possible, but unfortunately, we had very few little visitors. As an aside, can I just say how much I MISS MY DISHWASHER! It broke last week and is in the process of getting fixed (waiting for parts), and in the meantime, we are washing dishes by hand. All I can say is that I know we’re spoiled, but I can’t imagine life without a dishwasher! How did—and do! (I realize there are some people who don’t have dishwashers)—people do it!? Sterling is usually the one who does the dishes, but he went on a ride last week and broke his collarbone—and on the first day too! He was a trooper and stayed for the whole three-day trip, just spent his time at the camp. When he came home on Saturday night, I could tell he was exhausted and in pain, so he’s dodged dishwashing duty for the next little bit. Of course, I really can’t complain—Shalae’s done them too. And they’re just dishes. But I must admit that I’m secretly glad I’m heading off to the European convention tomorrow. I’m thinking of threatening not to come home until the dishwasher is fixed!